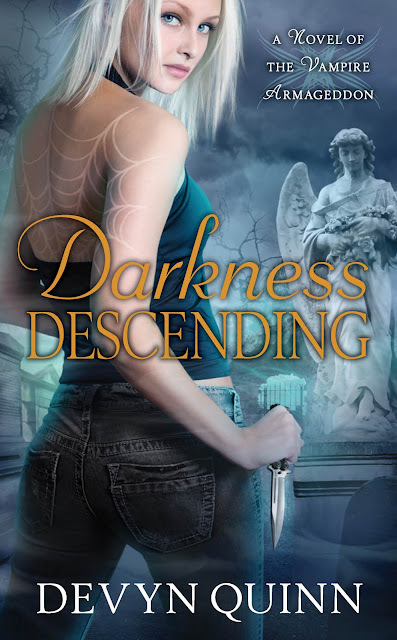 Devyn Quinn has released the cover for her upcoming release Darkness Descending, a novel of the Vampire Armageddon. This cover is just gorgeous and the spiderweb image rocks! The book is scheduled for release August, 2011. For more about Darkness Descending, please visit Devyn’s website HERE.